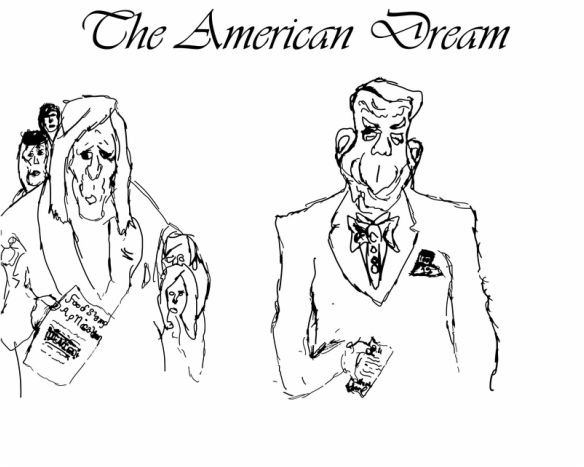 In this project, our goal was to find an aspect of globalization and take a stand on it through an opinionated editorial and a political cartoon. Globalization is the development of an increasingly integrated global economy marked especially by free trade, free flow of capital, and the tapping of cheaper foreign labor markets. An opinionated editorial is an persuasive article written about an issue that can pose new solutions. A political cartoon is a bias artistic representation of an issue. What I learned from creating my political cartoon is I can properly portray an idea using little to no words. I can apply this to future project by taking a more creative approach to showing my thoughts. This will allow me to tackle projects from a different standpoint, creating different outcomes and brain pathways. By completing this project, I have a deeper understanding of globalization. Globalization is an immense factor on the 21st century by how we as a species will continue to develop. Globalization is essential moving forward in the future, we have to not just works as individuals, or even nations. Yet we must coherence with each other and develop new ways to go about solving issues. The writing process, for me was arduous and tedious. I not only relied on the three drafts that Ally required yet I sought out to make my piece as strong as could be. By doing such, I ended up going through eight drafts of my writing, and eleven different critiques from faculty and peers. But in the end, It was worth the tedious work as I believe I created beautiful work.